Fans will be excited to hear that they will be getting a sequel to the popular turn-based strategy game The Banner Saga. Though it's not much, the announcement trailer for The Banner Saga 2 officially confirms that the game is being worked on. No release dates or console confirmation were given during the showing. Though not much is known about the game, Facepunch showed off a new trailer for their prehistoric survival game, Before. The game's website depicts the game as follows: "Guide your tribe through prehistoric world, shaping their culture and defining their history." The player will have to find food and shelter for their tribe in order to keep them alive. Each tribe must survive by hunting and foraging each day as well as protect their young from wild animals and harsh elements. Bandai Namco also had a trailer to debut, revealing GODZILLA The Game. Like all of the previous Godzilla games, this one also lets players play as various incarnations of the beast. The game was originally set for a PlayStation 3 exclusive release but will also be making its way to the PlayStation 4 and be released next summer. Human Element was announced in 2012 and has finally gotten a reveal trailer. The game is being created by ex-Call of Duty developers and is a zombie apocalypse game that involves simulation elements and relationship building with other survivors. Human Element will release on the Xbox One, PlayStation 4, and PC and will release in November 2015. After their long break from the gaming world, Sierra announced back in August that they would be bringing back one of their best games with them, King's Quest. The debut trailer for the game was shown during a tribute to the original creators of the game, Roberta and Ken Williams. King's Quest looks great in its new 3D art style which you can see below. Though their isn't a confirmed release date, the game is expected to launch Fall of next year. One of the most anticipated announcements at The Game Awards was Metal Gear Solid V: The Phantom Pain. During the show a trailer was shown showing off their multiplayer mode, also called Metal Gear Online. The trailer gives you a glimpse of some of the features that each player will be able to do. For instance, players will be able to switch between player-controlled characters when storming a base all while using various tactics such as stealth takedowns all the way to using toy dogs as distractions. Players will also have access to the Fulton system in which they can send enemies high into the sky. One game that is all around an amazing looking game is the upcoming game No Man's Sky. The game was announced earlier this year at E3 and has received quite a bit of praise from gamers due to its stunning graphics and gameplay. No Man's Sky is a procedurally-generated game that allows the player to explore the universe in their ship as well as on foot. Each place you visit is completely different from the next. You can read more about this game here. The Order: 1886 is one of the most anticipated games that has been made exclusively for the PlayStation 4. The game is set in Victorian London-type world with a steampunk feel that is reflected in their weapons. At The Game Awards in Las Vegas tonight, another stunning trailer of the game was brought to us showing a scene in which they hijack an airship. Until Dawn was a game that was set for a 2013 release on PlayStation 3, but has since then moved to become a PlayStation 4 exclusive and released sometime in 2015. The game is a horror game set in the mountains where eight friends are being terrorized by a masked man who is intent on killing them. The player has to make hasty decisions to survive, making instant decisions such as to either run for the door or hide under the bed. The Witcher 3: Wild Hunt's game designer Damien Monnier showed off their new trailer for the upcoming game getting everyone even more excited for CDProjekt Red's upcoming game. Not only was there a great trailer, Damien also made an announcement stating that players will have a chance to play as more than just the main character, Geralt of Rivia. Though it has not been confirmed, it is believed to possibly be either Ciri or Yennerfer, the two female characters that were first announced at this year's E3. 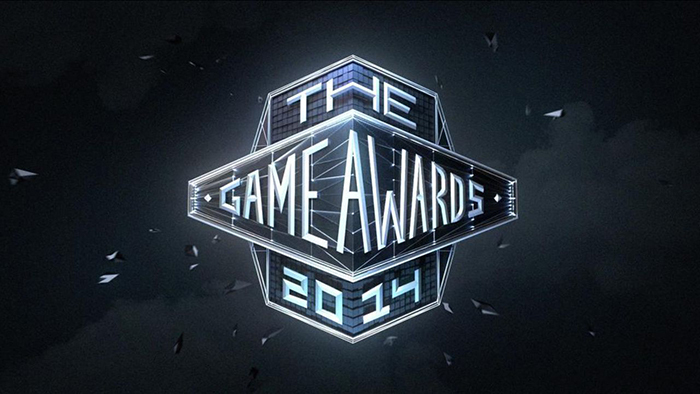 Though I don't agree with the nominees or the winners, The Game Awards show wasn't that bad. I just would have liked it better if Kevin Spacey had won best actor instead. And if you are bored and want to watch the whole awards show, here is the video of the whole thing.